Prois®, a woman-founded manufacturer of women’s outdoor clothing, has introduced a new camo pattern specifically for women. Veil Camo®, the leader in scientific-based camo pattern innovations, and Prois, have combined efforts to introduce the new Cumbre™ pattern for 2018. 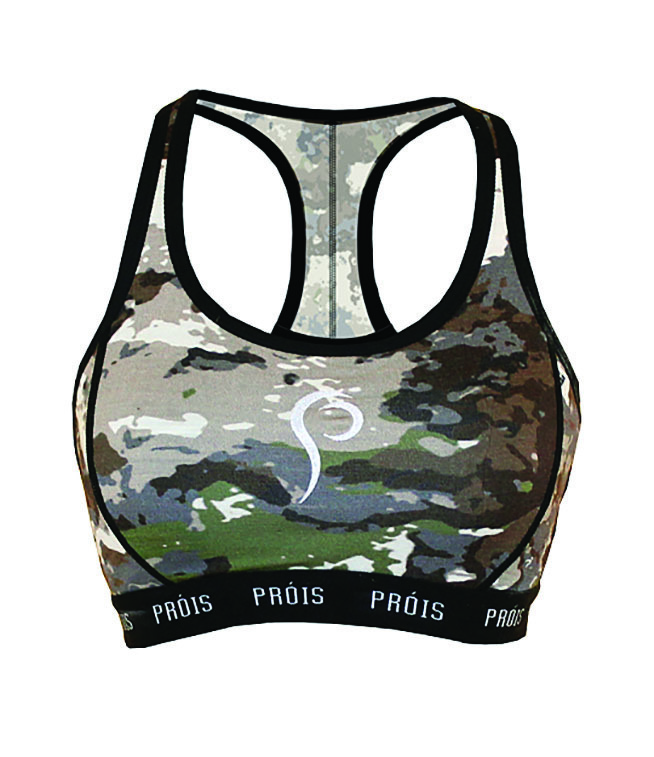 Prois tank in merino wool is part of the company’s new Cumbre camo product line. Not only does Cumbre exhibit a bold, fresh look, this new pattern is grounded in years of research and development, bringing together camouflage science, animal vision research, and mathematical concepts found in the “form and chaos” of the natural world. It is this scientific approach combined with extensive field testing that supports the effectiveness of Veil Cumbre. The Cumbre pattern is offered across the Prois line of women’s premium hunting clothes and accessories and is now available for licensing to other manufacturers of premium hunting products designed for women, according to the company. Sports bra in the Cumbre pattern which was designed for women. Key developmental features of the pattern include: Scalable Disruption―a blend of macro and micro features tuned to the landscape to offer near- to distant-concealment; Disruptive Mimetic Coloration―a finely mixed “environmental color palette” that strengthens both the macro and micro disruptive features; Animal vision and perception research to ensure optimal performance across a wide spectrum of game species, and Mathematical Edge―shapes and distortion patterns modified using mathematical algorithms to reflect the shapes and visual biases found in the natural world. 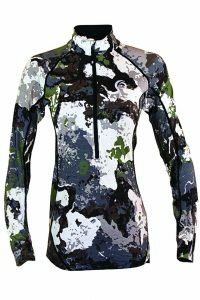 The 2018 Prois apparel line features systems including merino wool, technical performance fabrics, mid-weight technical fabrics, down, rain gear, and accessories in the new Cumbre pattern. The 1/2-Zip Shirt is part of the new line. Prois believes the cornerstone f the best outdoor gear lies in its fabrics. Merino wool is far superior to the synthetic fabrics available on the market and they have sourced the highest quality merino available. Merino wool is naturally anti-microbial, odor-resistant, moisture-wicking, offers UV protection, static resistance, and the fibers are much finer than traditional wool. Because of this merino wool is not itchy like the wool produced by other breeds of sheep. This gives their Olann line an ultra-soft touch with none of the itchy feel of regular wool. The Olann line is constructed of 96% Merino Wool and 4% Lycra. Their racerback bra features athletic styling, and a wide elastic band for optimal support and comfort. This merino sports bra offers superior moisture and odor control, excellent support, and all day comfort and is available in sizes XS-2X for $79.99. A tank in the same fabric, pattern and sizes is available for $99.99. 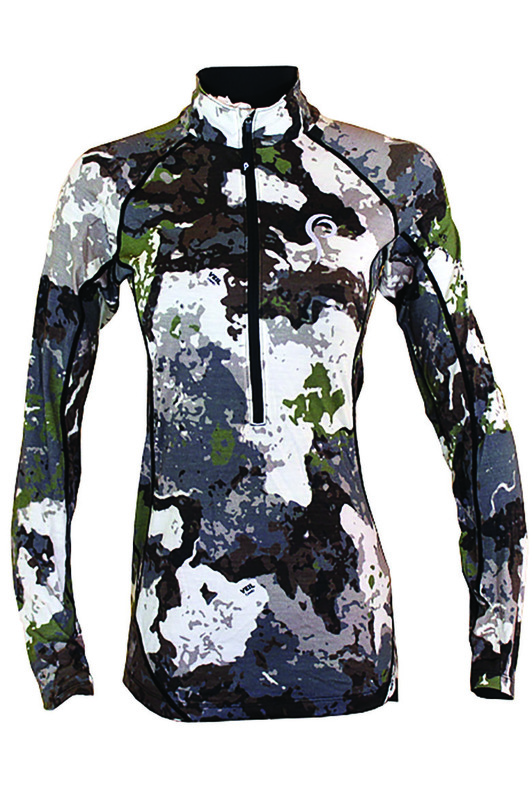 Prois’ Olann 1/2 Zip Shirt is constructed of 96% Merino Wool and 4% Lycra, and. 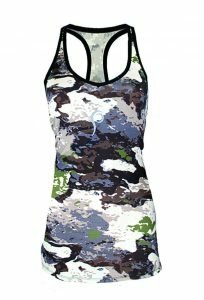 features an athletic fit, 1/2 zipper for added ventilation, articulated elbows, thumbholes, and form flattering cut. This shirt is constructed long through the torso for tucking in and has a lovely modern fit. A touch of Lycra gives this line additional stretch for the perfect fit allowing the garment o move with you without hindering full range of motion. This also allows this shirt to conform to a wide variety of body types. In sizes XS-2X, the ½ Zip Shirt is $159.99. The Cumbre line debuts this summer. Prois also offers their lightweight Tintri line, rain gear, down products and mid-weight gear. Their website also features an outlet section with discounted products and frequent sales.